Allianz UK chief executive Andrew Torrance has admitted he is “not comfortable” with the state of his commercial liability business, which has caused the current-year commercial combined ratio to come in at around the 100% mark for the first quarter of 2012. 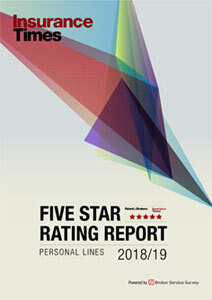 He also revealed that his company had not been able to achieve “any significant rate increases” in broker personal lines motor, despite the continuing trend for rising bodily injury claims; and had cut its household rates by “a couple of percentage points” to add volume, even though he contends that the market needs further price rises. These challenges came in spite of a solid first quarter for Allianz UK as a whole. 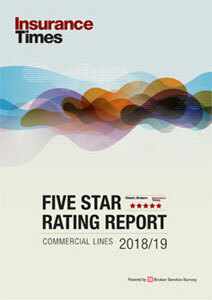 Its combined ratio for personal and commercial lines remained almost static at 97.1%, and its operating profit was up 1.4% to £34.9m. The insurer’s all-year commercial combined ratio for the first quarter of 2012, which includes reserve releases, came in at a comfortably profitable 96.3%. Torrance said liability business lines had been hit by recession-related claims, including those from dismissed employees and from departing workers who came over from eastern Europe in better times. He said the employers’ liability line had also been hit by cuts in government rehabilitation schemes, meaning that employees were taking longer to recover. The company is tackling the problem through rate increases and cutting unprofitable business. As a result, commercial gross written premium at Allianz UK fell slightly to £253.3m (Q1 2011: £254m). Torrance said the bulk of the problem came from the larger risks on its book. “We are looking to price to make a profit on those large risks, and we are willing to see those risks lapse if we can’t get the rate that we think we need to make money,” he said. In private motor, the lack of rate rises is “disappointing”, said Torrance, because he feels rates are not yet adequate to allow companies to make decent returns. He added that by the second quarter he expected to be achieving rate increases in line with claims inflation, which he said was in the mid single digits. He denied it was a contradiction to be cutting household rates while contending that the market needed rates to rise. “We have taken a couple of percentage points off so that we’re more competitive in a part of the market that we believe is producing rather superior returns for us,” he said.